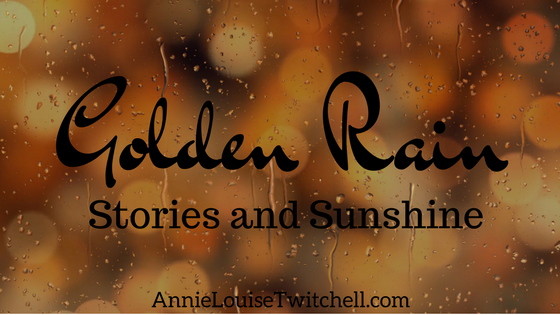 Introducing the Golden Rain Short Story Contest! Golden Rain is inspired by the summertime occurrence when the sun is low enough in the sky that it filters underneath the rain clouds, lighting the world with showers of golden drops. Golden rain brings light and joy and rejuvenation to the lives it touches, and that is the mission of the Golden Rain Short Story Contest. Aimed for new authors, but not limited to them, Golden Rain Short Story Contest is an opportunity to share your writing with the world. We are looking for short stories, under 5,000 words, that bring some form of joy, light, or happiness to the readers. Check and see if we have a contest running, subscribe to my newsletter to get emailed with monthly updates (including contest updates!) and stayed tuned for your chance to shine.